We are so confident that you will love our Formulas for Life we are happy to offer a free sample for you to try. Become part of the Lucy Pet community, signup for our email list and we will send you money-saving coupons. We believe that giving your pet the very best quality food is key to a long and healthy life. After you have tried our food, come back and leave a testimonial to let others know your thoughts. We’d love to hear from you. 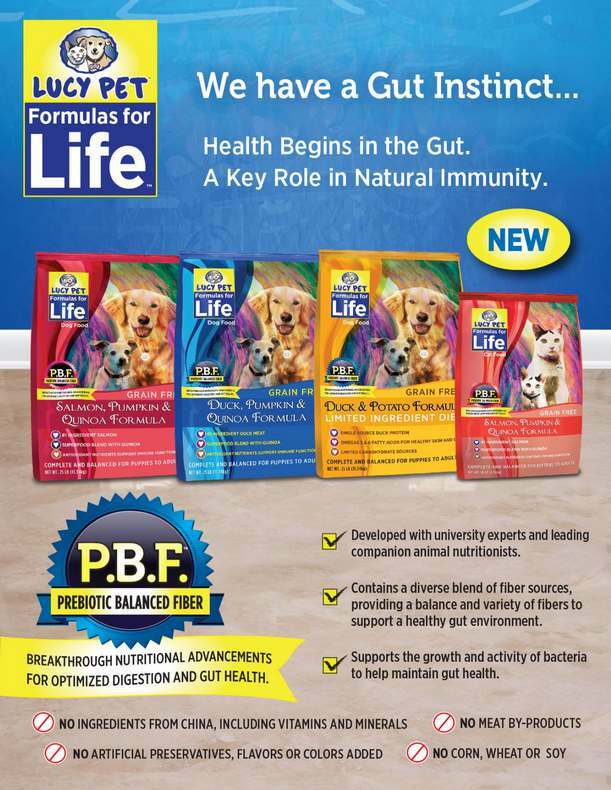 Our foods will be available at fine independent pet specialty retailers starting in May. Dog formulas MSRP: 4.5lb $19.99 and 25lb $69.99. Cat formula MSRP: 4lb $18.99 and 10lb $32.99. Find out more at Formulas for Life™.